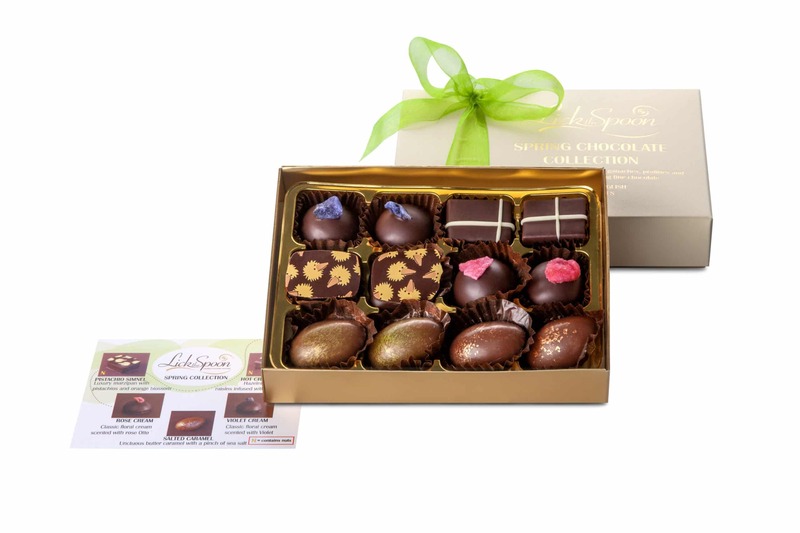 Our exciting 2016 Easter Collection is now available! Our fabulous new 2016 Easter collection is here. 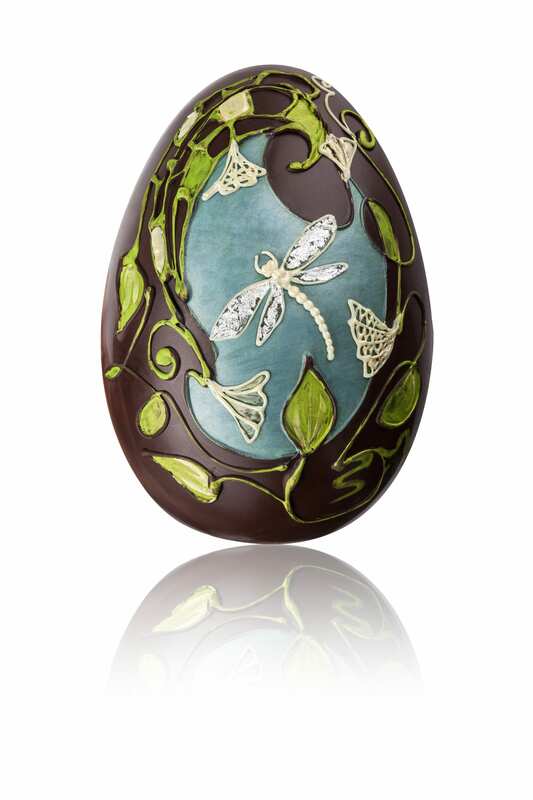 We’ve created a new ArtNouvO TM Luxury Easter egg collection featuring a beautiful centrepiece Dragonfly Egg – handpainted in cocoa butter, decorated with silver leaf and accompanied by an equally beautiful and delicious box of our award winning chocolates situated in the base. This egg is inspired by the Japanese influence on the Art Nouveau movement. 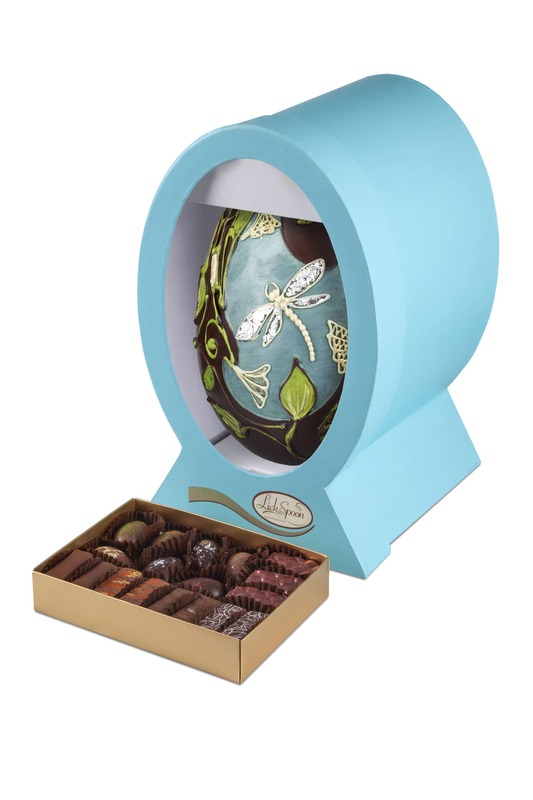 The egg itself is made from 75% cocoa Madagascan Raisetrade dark chocolate and is presented in a keyhole blue box. 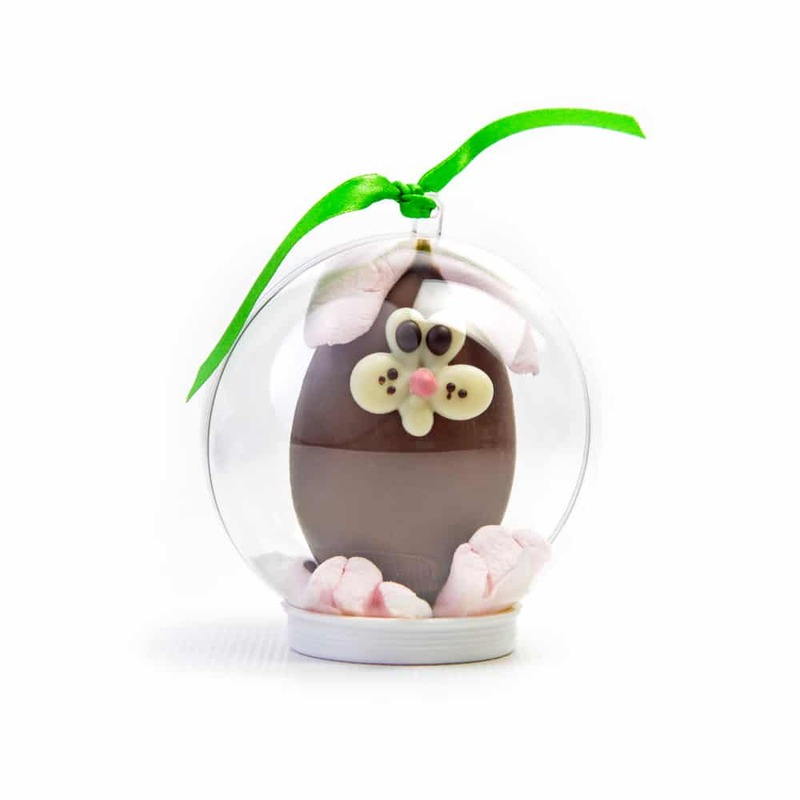 To accompany the centrepiece we have five new ArtNouvO Handmade Easter eggs, each with their own unique design (design registered). The five Eggs are Moonstone, Amber, Ruby, Emerald and Gold. 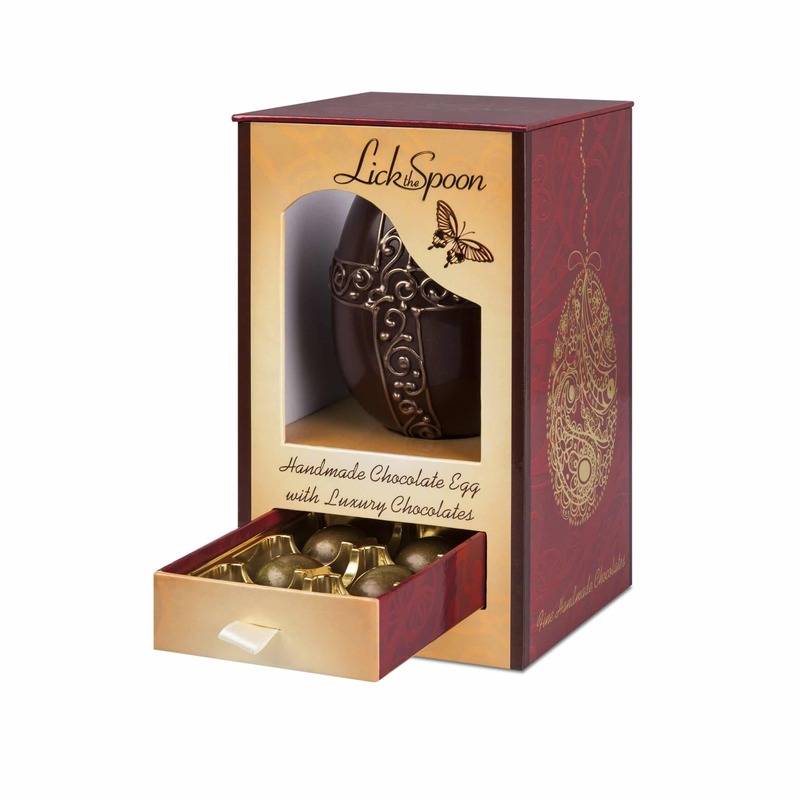 Each egg is beautifully hand decorated with filigree work and painted panels. The eggs are presented in a new rigid luxury foil blocked box with a pull out drawer that includes six equally beautiful chocolates. 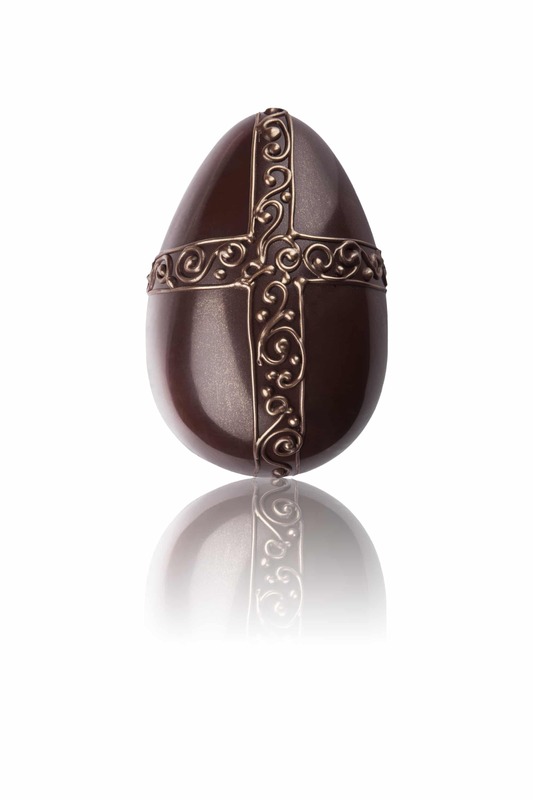 The Moonstone egg is made from our own new small batch bean-to-bar caramelised Bronde TM chocolate. The Ruby is made from White chocolate and rasberry. The Gold is a rich and fruity 75% cocoa Madagascan dark chocolate.The Amber is Madagscan milk chocolate studded with our gold award winning honeycomb pieces and the Emerald is a Madagscan milk chocolate egg with pistachio and sesame. 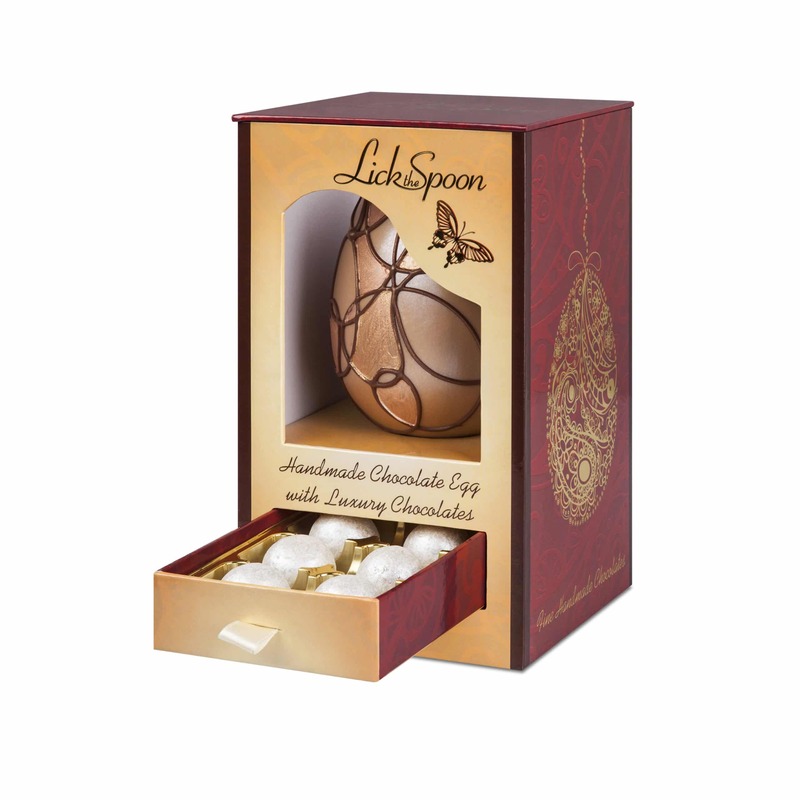 This Egg is presented in a luxury box with six ‘Bish’ Hazelnut and caramel Praline chocolates created for and named after the new Bishop of Gloucester Rachel Treweek, who is a chocolate afficianado, for her ordination at Gloucester cathedral last month. The chocolates were also requested by the Archbishop of Canterbury at Lambeth Palace and Diana received a personal letter of thanks from him. The chocolates were featured on BBC Radio 4 Womans hour in September when Bishop Rachel was guest editor. We had a huge response following Diana’s Woman’s hour interview, which is a British institution broadcast to several million listeners each day. 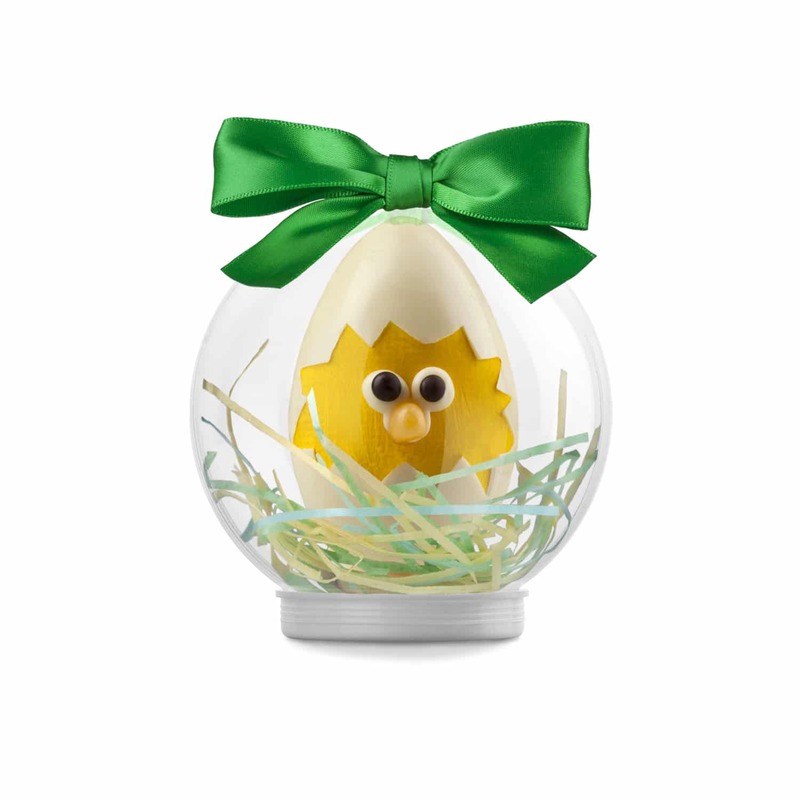 For our Children’s Easter Egg collection we have t he return of our popular Easter globes with a new Easter Chick design for 2016. 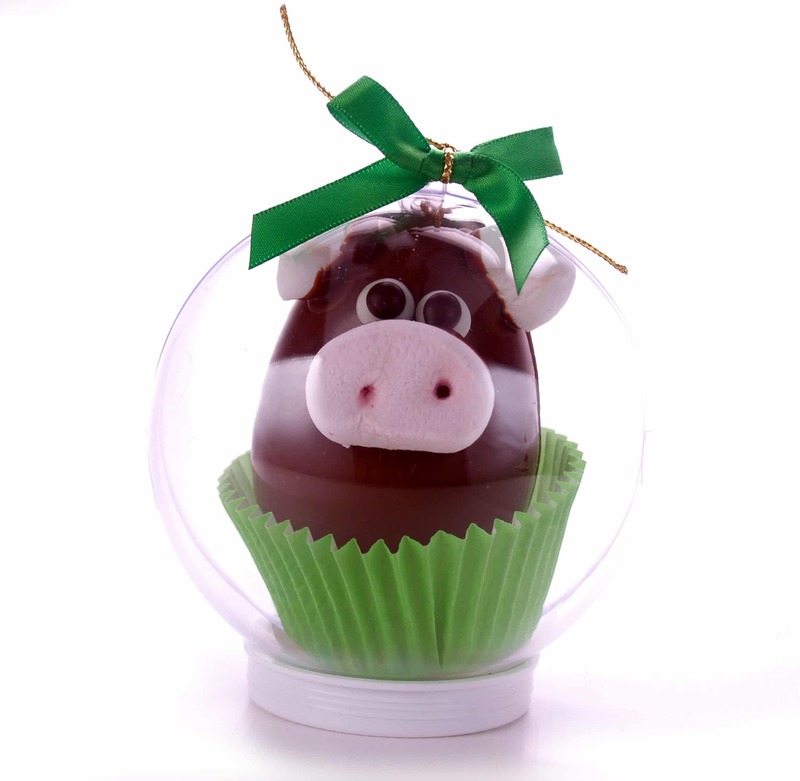 Featuring edible grass (made locally in Wiltshire) our chick is bursting out of his shell. Decorated with natural colours this is a fun take on the Easter Chick. Each one is handmade and has its own personaility. Accompanying the Chick are friends the Bunny, Spring Lamb and Piggy Wig. Our Spring Chocolate Collection was extremely popular when introduced earlier this year as a grown up alternative to the Easter egg. Featuring mini-salted caramel eggs, Marzipan simnel chocolates and hot cross pralines and our award winning Rose and Violet creams this delicious collection has a naturally longer shelf life and is presented in a foil blocked box tied with a ribbon. We hope you like our new collections. We believe they showcase the best of our handmade artistry coupled with some of the finest chocolate in the world and now for the first time our own small batch bean to bar Craft chocolate. 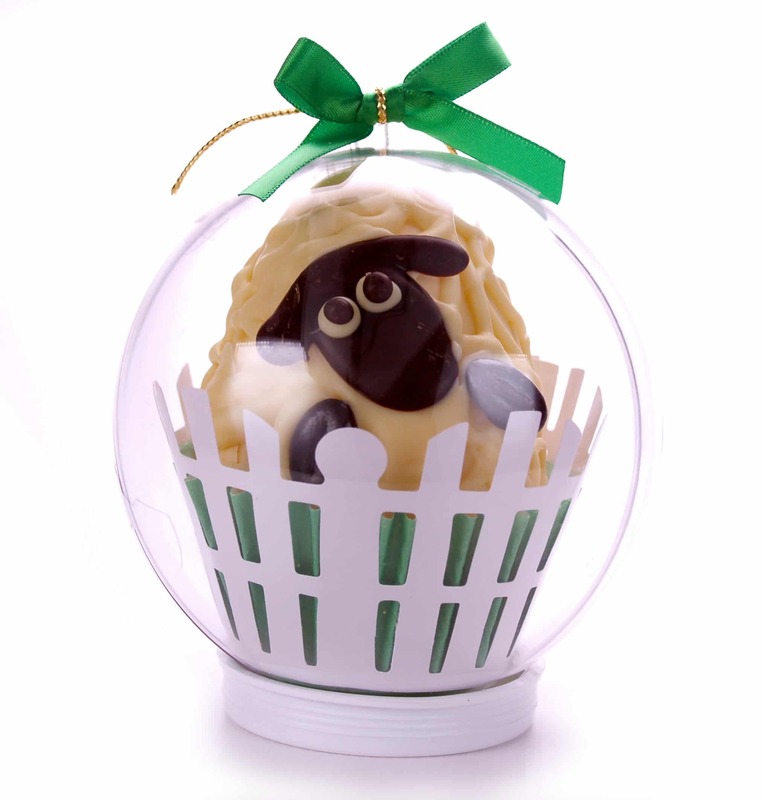 Our Easter eggs are now available to buy online for both retail and trade customers. If you are a trade customer please use your account login.